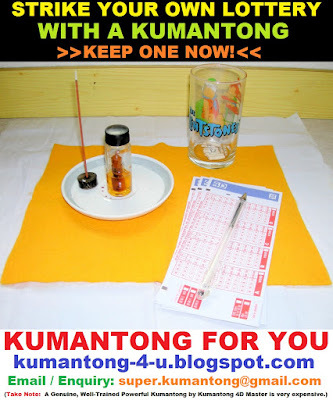 WELCOME TO KUMANTONG 4 U! You must be scratching your head, wondering what are these spooky looking figurines going to do with Lottery Prediction. 1) Are you busy searching for Lottery Prediction Software and hope it will improve your odds in striking Pick-3/ Pick-4 /4D but you end up with stacks of potential numbers vomited out by the Software? 2) Are you spending money on Lottery Ebooks, which give you more headache in understanding the mathematical formula and then you still have to spend hours analyzing numbers to dig out potential winning numbers? 3) Have you subscribe to some Pick-3 / Pick 4/ 4D Prediction Services but the Numbers they send to you are of low standard and hardly strike? What if you can outsource this service of Pick-3/Pick-4/4D Prediction to "someone" else for FREE and you are able to obtain the potential winning numbers for the upcoming draw within 2 minutes, will you get excited about it? Keep an open mind and continue reading.. 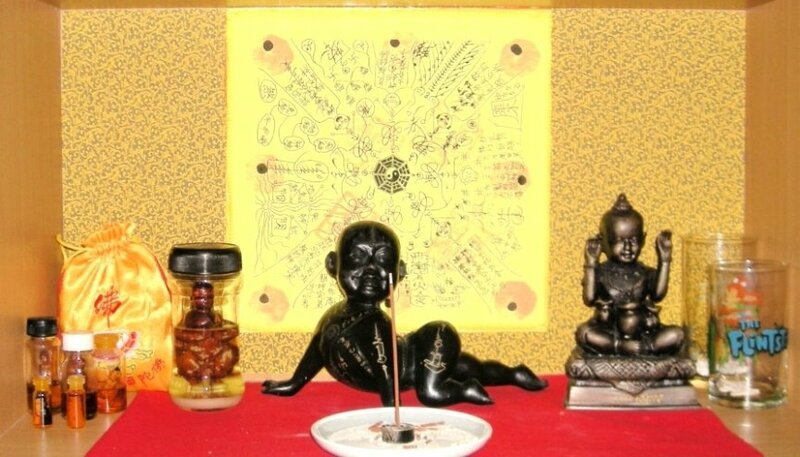 In South East Asia, there are some spiritual entities that we can seek help from to obtain 4D Numbers. The ones I'm introducing here are Kumantong and Lup Yong. I know you won't be interested what these spooky looking figurines are, unless it can benefit you in major way, such as striking Lottery. Western Folks (Especially, Folks from the United States and Canada for your Pick-3 / Pick-4 Lottery Prediction ) are being encouraged to keep a Kumantong for yourself, so you are able to obtain almost 90% accurate Pick-3 / Pick-4 / 4D Prediction on every Lottery Draws and it just take at most 2 minutes of your time to seek a set of Pick-3/Pick-4/4D Numbers to bet on! To understand more details on what is Kumantong and Lup Yong , click on the links below or the topics on the right sidebars of the blog.